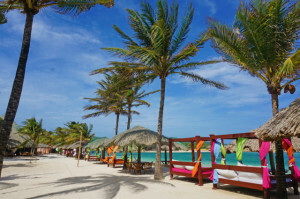 10 Reasons Not to Vacation in Roatan! 1. Roatan is a terrible place for those who do not want to be on “island time”. 2. Do not visit Roatan if you hate warm, sunny weather. 3. You should not come to Roatan if you want to spend your entire vacation indoors. 4.Roatan is not for you if you do not want to relax in a hammock. 5. Roatan is not recommended for people who do not enjoy beaches with white sand and clear blue water. 6. Stay away from Roatan if you do not wish to swim, snorkel or dive in the world’s 2nd largest barrier reef. 7.Roatan is not the place for you if you do not love a gorgeous sunset every evening. 8. Do not waste your time in Roatan if you want to spend too much money on food, drinks and entertainment. 10. Definitely avoid Roatan if you do not wish to wear flip flops, shorts and t-shirts.